Indian Creek Braves Varsity beat South Putnam 8-3 on Tuesday. Indian Creek Braves Varsity opened up scoring in the first inning, when Rachel Kyle doubled on a 1-1 count, scoring one run. Indian Creek Braves Varsity tallied three runs in the fifth inning. Indian Creek Braves Varsity offense in the inning was led by Evelyn Cline, Kayla Lemmon, and Kyle, all driving in runs in the inning. Jozie Farris earned the win for Indian Creek Braves Varsity. She allowed six hits and two runs over five innings, striking out one. Ashlynn Meadows threw two innings in relief out of the bullpen. Meadows recorded the last six outs to earn the save for Indian Creek Braves Varsity. A Srety took the loss for South Putnam. She surrendered eight runs on 15 hits over six innings, striking out one. Indian Creek Braves Varsity saw the ball well today, racking up 15 hits in the game. Kyle, Kasey Wilhoit, and Lemmon each collected multiple hits for Indian Creek Braves Varsity. 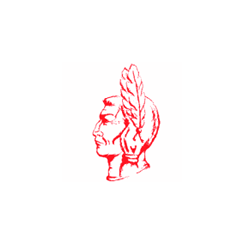 Lemmon, Wilhoit, and Kyle all had three hits to lead Indian Creek Braves Varsity. H Eaglin led South Putnam with three hits in four at bats.